Davina and Peter were looking for an idyllic setting for their wedding, somewhere that was easy to reach, balmy and laid-back. 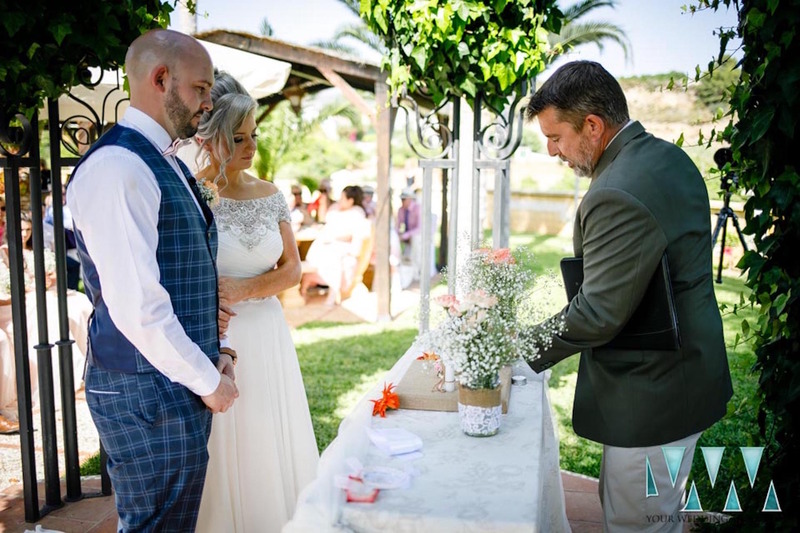 Sunshine Weddings Spain soon found the perfect Nerja wedding venue for the couple – they instantly fell in love with the cortijo’s intimacy and the beauty of its grounds. 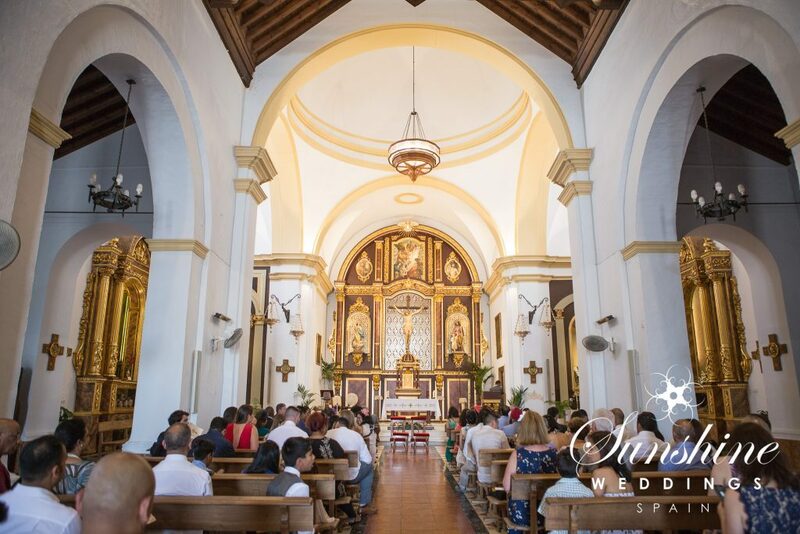 The Sunshine Weddings Spain team first met Davina and Peter in March of this year on a scouting visit during which they were able to view a selection of venues east of Málaga. They wanted to find somewhere where their guests would feel comfortable and be able to relax and enjoy themselves. Another priority was that the location needed to be close to their chosen church. Everything quickly fell into place when they found the venue first, a charming cortijo and thankfully fell for a nearby church. The cortijo is a characterful building reminiscent of an old 19th century Andalusian cottage. Set in a huge country estate, surrounded by avocado and mango trees, views are far-reaching. The whole hotel hinges around its stunning central courtyard. Charming accommodation with 20 rooms means it is no surprise that this is one of southern Spain’s number one wedding hotels, with dozens of ceremonies hosted here each year. Once the venue had been decided, it was time to finalise that date. After a quick discussion Davina and Peter set the date for August. “AUGUST? !” we hear you say. Don’t panic! Even though this didn’t give us a lot of time, the Sunshine team did what was needed of us and made sure everything came together in time for the big day. The night before the wedding we arranged a tapas night for the couple and their guests in the town of Nerja. Davina and Peter had chosen a stunning venue overlooking the Mediterranean to hold their pre-wedding party. It was a hugely successful night and allowed the global guests to meet each other, meaning everyone was more comfortable and relaxed the following day. Guests dined on mouthwatering Shrimp Tempura, Manchego Skewers, Croquettes and Tortilla, which was accompanied by jugs of freshly made sangria. A great start to what would be a memorable weekend. Join us for Part Two where Davina and Peter celebrate in style with the Sunshine Weddings Spain team.